In 2016 Belarus Digest readers were particularly interested in our articles on security issues and relations of Belarus and Russia. Other popular stories covered visa policies of Belarus as well as topics such as migration to Poland, potash trade and the 30th anniversary of the Chernobyl disaster. Below is our top 10 most read stories published in 2016. 1. Will Russia Occupy Belarus In 2017? by Aresni Sivicki. Recently, the Russian Ministry of Defence disclosed logistical data of railway traffic to other countries for the upcoming year. It revealed that the Kremlin is planning to significantly increase the amount of military cargo headed for Belarus. This may be a sign that Moscow is preparing to redeploy a large number of Russian troops to Belarus in 2017. An earlier piece by Belarus Digest predicted that the Kremlin was trying to transform Belarus into a flash point for menacing NATO and Ukraine by deploying its military capabilities on Belarusian territory. Unfortunately, this prediction is corroborated by the aforementioned logistic data, as well as the fruitlessness of the recent meeting between Alexander Lukashenko and Vladimir Putin in Moscow. On 26 October 2016 a new visa-free area along the Augustow Canal, a conservation protection zone in the Hrodna region on the border with Poland and Lithuania became effective. Tourists will also be able to visit adjacent districts of Hrodna region as well as the city of Hrodna (population 300,000) visa-free, an unprecedented measure in the history of sovereign Belarus.The visa-free regime will last until 31 December 2017. This will make it the second visa-free zone in Belarus after the national park Bielaviežskaja Pušča opened up in 2015; foreign citizens can stay in the forest for up to three days. These initiatives appear to be an experiment before Belarusian authorities implement a more comprehensive simplification of the visa regime: future plans also include the long awaited authorisation of local border traffic. Belarusian authorities have long overlooked tourism as a source of profit, but the crisis in traditional industries has forced them to consider this option. 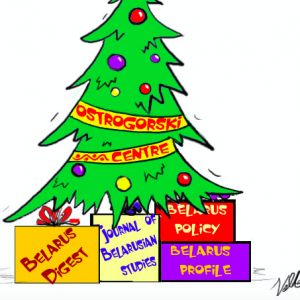 Since the Russian-Ukrainian conflict began, the Kremlin has persistently tried to expand its control over Belarus, a process that has had quite the opposite effect as Belarusian government policy became more independent in 2014-2015. There has always existed a paradox in the simultaneous contingence and estrangement in Belarusian-Russian relations. Estrangement looks the stronger of the two today, evidenced by the decrease in Belarus’ military dependence on Russia and its refusal to allow the establishment of a Russian military base on its territory; the reduction in the Russian economy’s role in Belarus; discrepancies in the foreign policy and media spheres; and conflicts between the political elites of both countries. On 28 January the Polish Union of Entrepreneurs and Employers proposed granting residence permits to a million migrants currently in Poland. The majority of them are Ukrainians, followed by Belarusians and Vietnamese. In recent years Poland has been aiming its immigration policy at absorbing a young labour force from the regions of former Polish rule, and has created unique preferences for foreign citizens in the form of the Card of the Pole. The card gives its holder the right to work and study in Poland, and later to obtain Polish citizenship. Many Belarusians see it as an opportunity to work and study in Poland with the prospect of getting EU citizenship in the conditions of the ongoing economic crisis. The authorities of Belarus definitely dislike the initiative, but have proved unable to counter it so far. After several years of slow growth, 2015 became the first year of true recession. GDP fell by 3.9 per cent in January-November; employment declined over the year. The Belarusian rouble depreciated by almost 60 per cent. Despite significant changes in the economic policy, 2016 will not be different. The official outlook (based on the oil price of $50) predicts zero growth, while the independent research centres expect modest decline. The recession is not deep enough to launch reforms quickly, and the positive effects from any possible reforms will come in only after 2016-2017. On 14-20 September 2016 the Belarusian Armed Forces conducted large-scale military drills. Despite the fact that these military exercises were planned, they demonstrate a significant shift in security policy as Minsk increasingly takes into consideration possible risks and challenges from Russia. Belarus has managed to persuade Russia to supply it with arms and renounce plans for a Russian air base on Belarusian territory. The Belarusian official military daily newspaper admitted at the end of December that some (apparently four) Russian aircraft are still stationed in Baranavichy. But Minsk has managed to postpone or even cancelled Russian plans for an air base in Belarus. To do so Minsk was forced to finally invest in the overhaul and modernisation of its fighter aircraft. That was completed in November. This will help Belarus not only to avoid a Russian air base being established in the country and to receive Russian equipment for the army; it will also help convince Moscow that its Belarusian ally possesses real force. 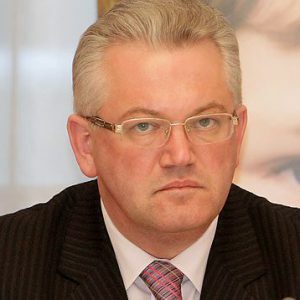 Minsk has strengthened its position in any negotiations with Russia and made clear its readiness to defy any attempts to undermine the Belarusian state. June 2016 became a breakthrough month for the potash industry in Belarus. The state-owned company “Belaruskali” managed to sign two long-awaited contracts with two major potash consumers – India and Bangladesh. However, the main news came from China: on June 17 Belarus received a $1,4bn loan from the China Development Bank for construction of a new mining and processing factory.